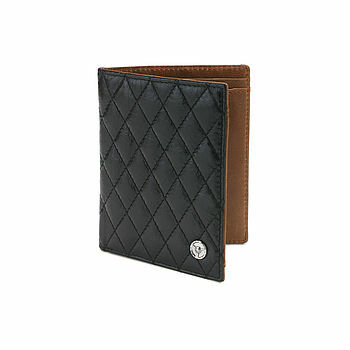 Classic wallet with contrasting calfskin leather interior & smooth black lining. This 250 GTO wallet is expertly hand-stitched by our master craftsmen and is finished with a quilted luxury exterior and nickel plated steering wheel logo. 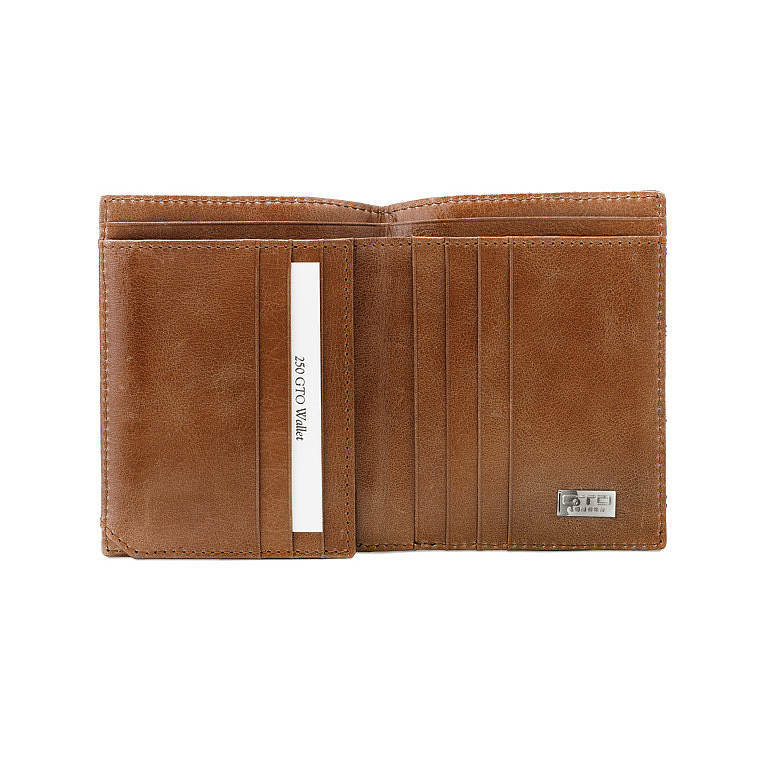 Contains 9 credit card slots, currency compartment with divider, two receipt slots and ID compartment. 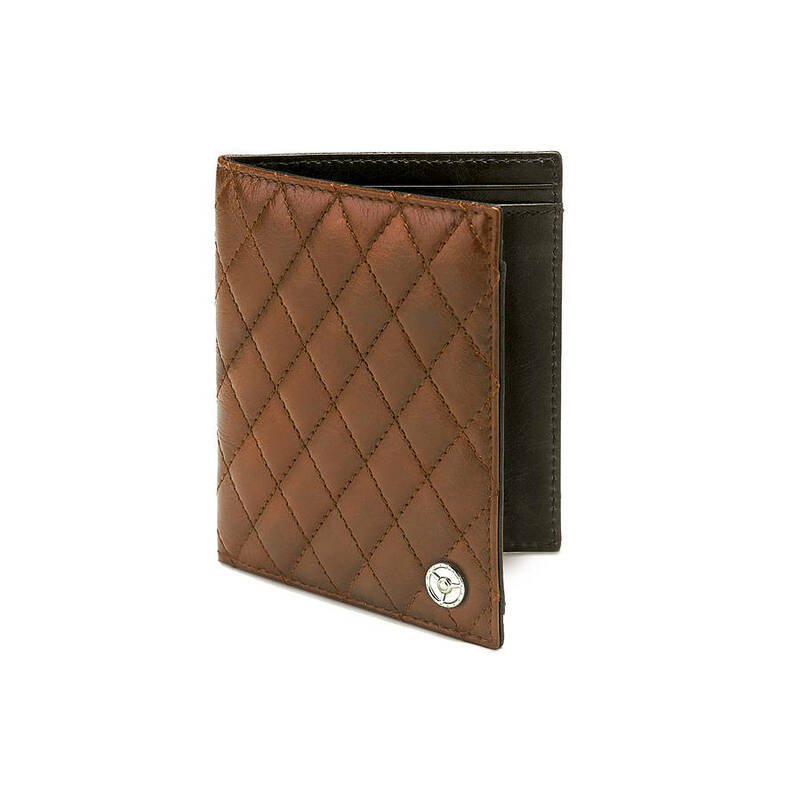 Available in Black, Tan and Rubino. 11.5cm x 9.5cm closed size. 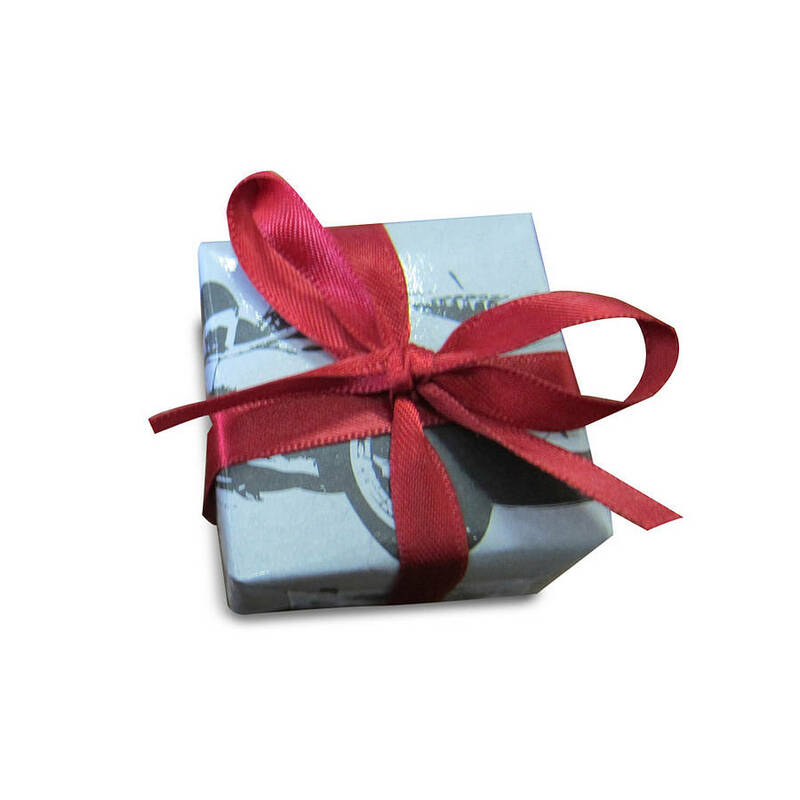 This product is dispatched to you by GTO London.